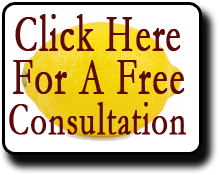 California Lemon Law cases are very document sensitive. Cases, for the most part, are based upon the documented repair history of the vehicle. These documents include repair orders,repair invoices and manufacturer technical documents. But what may actually be the most powerful tools in some Lemon Law cases are photos and videos. And now that almost everyone has a smartphone with photo and video capability, taking a picture or video of a problem is very easy and convenient. Many times service facilities are unable to duplicate a customer’s problem with his/her vehicle. Taking a video or photo of the issue not only documents the issue for the repair technician in assisting to diagnose and repair the problem, it also provides powerful evidence if a Lemon Law case is pursued. For example, say a warning light illuminates in a vehicle intermittently. When the vehicle is taken into the service facility for repair, the light is off. Showing a photo or video of the light to the technician could assist in diagnosing the problem. And in a Lemon Law case, the photo or video evidence could provide a crucial piece of evidence that the problem exists and is not repaired. I recently tried a case where the issue with my client’s RV was a defective roof repair. Without photos showing the roof, both prior to and after the repair, the jury would not have understood the gravity of the problem with the repair and the poor condition of the roof. These photos helped my client secure a verdict in his favor. Similarly, in an automobile Lemon Law case where my client was complaining of an air bag light illuminating during certain times, videos of the condition helped convince the manufacturer to resolve the case. Without the videos it is highly unlikely the case would have resolved short of a jury trial. The old adage is true. A picture (or video) speaks a thousand words. If you would like a free consultation regarding any issue you may be having with an automobile, motor home, RV, boat or any other consumer good, please give us a call or e-mail us and we would be happy to provide you with a free consultation. Phone: (866) 360-6886; e-mail: info@davidjfarrell.com.